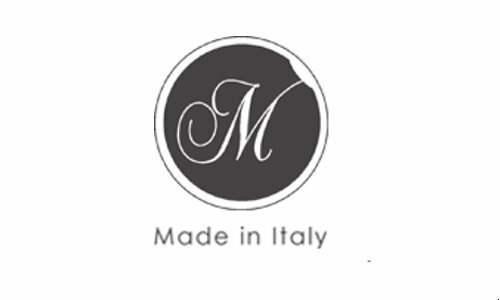 M Made in Italy brings a fresh take on women’s wear, conveying a feeling of confidence, independence, a mixture of moods and inspirations worn very naturally. Innovative and comfortable, casual and classy, it carries a unique European touch through its finesse and hippy-chic style. 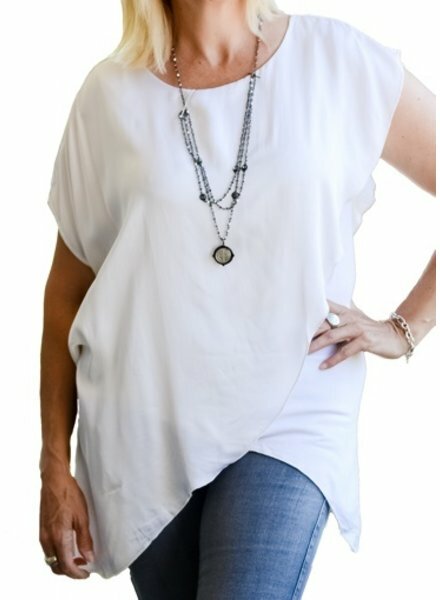 Short sleeve blouse with cross fabric details. Outer: 100% viscose. Lining: 95% viscose and 5% spandex. Hand wash and hang to dry. 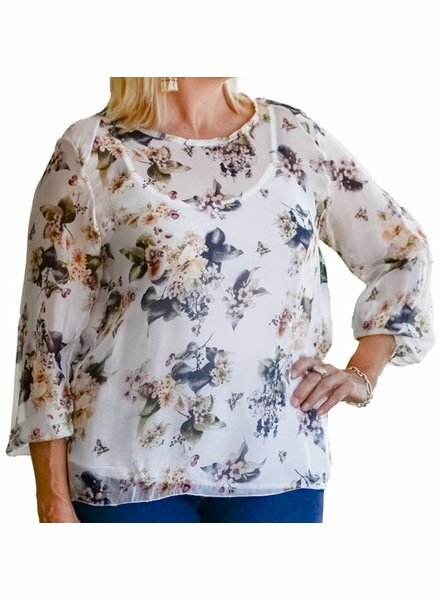 Long sleeve floral sheer blouse. 95% viscose and 5% spandex. Hand wash and hang to dry.